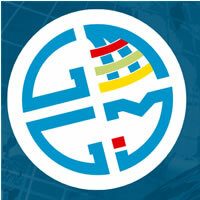 According to the UN Initiative on Global Geospatial Information Management - "The number of actors involved in generating, managing and providing geospatial information has increased significantly in the last ten years, and this proliferation will continue and indeed is likely to accelerate in the coming five to ten years. The private sector and the public (my emphasis) will continue to play a significant role in providing the technologies and information required to maximise the opportunities available. They are likely to provide valuable, and in many cases unique, elements of geospatial information and the technologies and services required to maximise it, in addition to offering a growing understanding of the end‑user base for geospatial information". See more predictions for the future of the geospatial sector. That is not surprising. Just look at the growth of OpenStreetMap. And with most smart phones coming with built in GPS receivers lots of interesting things can happen. A good example is Waze which Google recently bought.